Today, on the third anniversary of the implementation of the EU-Turkey deal in Greece, international medical organisation Médecins Sans Frontières/Doctors Without Borders (MSF) calls on European leaders to take action to end the harmful policy of containment on the Greek island ‘hotspots’, as well as to ensure the immediate evacuation of all vulnerable people, especially children, from these locations to suitable accommodation on the mainland or elsewhere in the European Union. For the past three years, the EU-Turkey deal has trapped thousands of men, women and children in overcrowded, unsanitary, unsafe and degrading conditions with little access to basic health services, which has resulted in a deterioration of their health and well-being and caused widespread misery, says MSF. 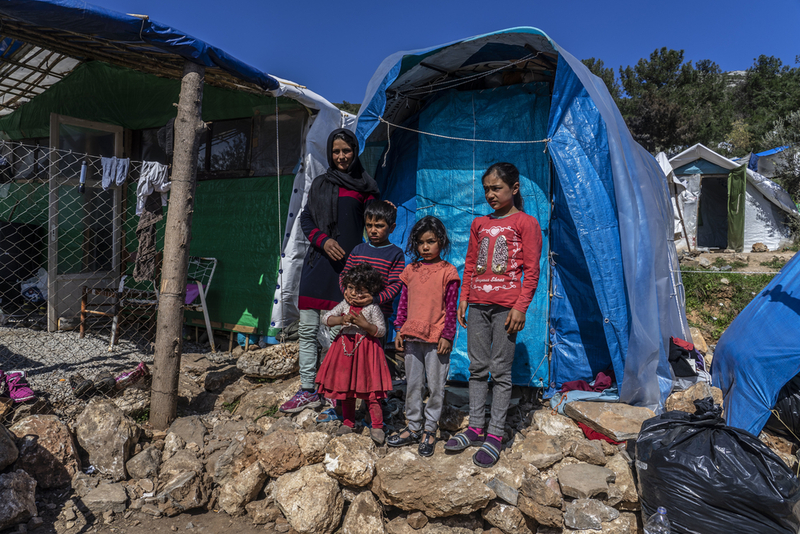 As a result of the EU-Turkey deal, some 12,000 men, women and children are currently trapped in dire conditions on the five island ‘hotspots’. In Vathy camp, on Samos, conditions have deteriorated drastically in recent months due to severe overcrowding, prompting MSF to send a medical team back to the island. The camp currently hosts more than 4,112 people in a space meant for just 648, meaning that thousands of people languish unprotected in the filthy and unsafe area outside the official camp. Those sheltering outside the camp include at least 79 unaccompanied children, as well as pregnant women, elderly people, people with chronic health conditions, including acute mental illnesses such as psychosis, and survivors of torture and sexual violence. MSF teams are also working on the islands of Lesvos and Chios, where the camps are at bursting point, with Moria camp on Lesvos hosting 5,225 people in a space meant for 3,100, and Vial camp on Chios hosting 1,361 in a space meant for 1,014. There, as on Samos, MSF medics are treating patients for a wide range of physical and psychological illnesses related to their living conditions, to the long waiting periods to have their asylum claims processed, and to the reasons that first caused them to flee. 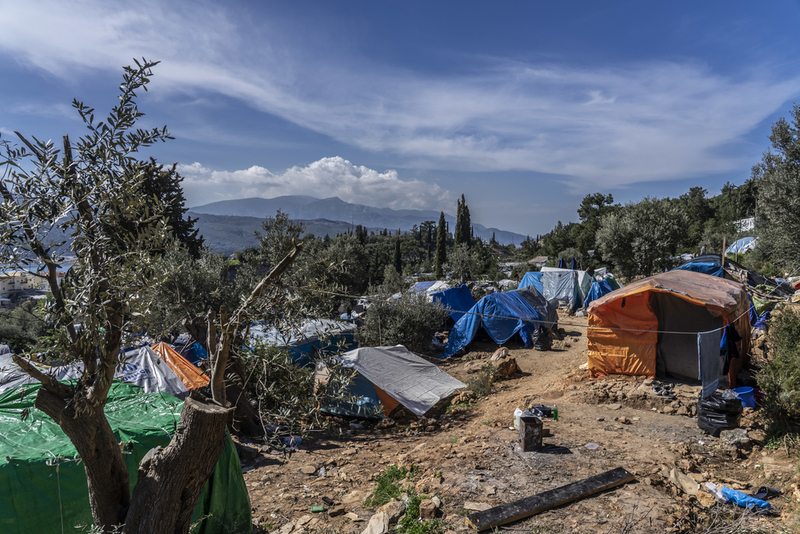 On the Greek mainland, thousands of migrants, who arrived after the EU-Turkey deal was implemented, live in camps or in temporary accommodation run by the UN or non-governmental organisations, while others live rough in squats or sleep on the streets. All face obstacles to accessing medical care. Teams of MSF psychologists are working to care for people suffering from mental health issues, including depression, anxiety and psychosis, and to rehabilitate survivors of torture. Our psychologists cite the housing situation of their patients as their biggest challenge. Farida arrived from Afghanistan with her husband and four children in early March. She has been living in the jungle next to Vial camp ever since.